UK-born Children of Foreign parents: UK Citizens, or Not? It seems logical that when a child is born in a given country that he or she should automatically be awarded citizenship in that country — while the parents obviously continue to be citizens of their own country. But in a surprising number of countries that’s not how it works. As in Saudi Arabia and other countries, so it is in the United Kingdom — as recently and publicly reaffirmed by the Home Office in the case of a Dutch couple whose child was born in the UK. Once a baby decides they want to be born, where the Mother and Father happen to be at that point in time is completely irrelevant. Some of you may have had that experience. It seems counter-intuitive in the extreme to deny a person born in a country… citizenship in that country. Imagine what it would’ve been over the past 100-years if every British parent had to travel to the appropriate UK government office with reams of paperwork to prove the entire family tree, thereby allowing the child to have the right of British citizenship? The population of Britain would’ve never reached 65-million. Ever! People would’ve thought twice about having children, some would’ve decided to not have any at all, while other kids would’ve been adopted to foster-parents in other countries. That’s not the way to grow an economy! You’re either born in the country and therefore automatically a citizen of the country with all the rights and responsibilities thereof, or you’re born outside of the country and are a visitor, student, diplomat, or an invited worker with impressive credentials who was offered citizenship by the government. But being a citizen isn’t all about the rights and privileges of citizenship, there are also the responsibilities of citizenship. For one; Every citizen is a potential ‘brand ambassador’ for their country; Whether a tourist in the UK asks for directions from a Briton, or if the British ‘brand ambassador’ is travelling outside the country, they are representing Britain 24/7 to the people around them in every word and every action whether they like it or not. Such words and actions are carefully watched in many countries. And it could occur that they are called upon to verbally discuss or defend a certain policy, or even the distant history of Britain — something at which all UK citizens should be exceptionally skilled. Training for this should begin at a young age and continue throughout their education. Two; During wartime, able-bodied people are expected to shoulder some amount of burden to defend the country. This can range from flying a warplane as the great flying ace Billy Bishop did for Britain and Canada (he was a Canadian who flew for the RAF in WWI) or, as in the American example, ‘Rosie the Riveter’ who left housewifely duties behind for 8-12 hours per day to rivet aircraft frames together as part of the WWII effort. If you are willing to fight for Britain during wartime, then unquestionably, you are worthy of British citizenship. If you’re unwilling to fight for the UK, you’re unworthy of UK citizenship. 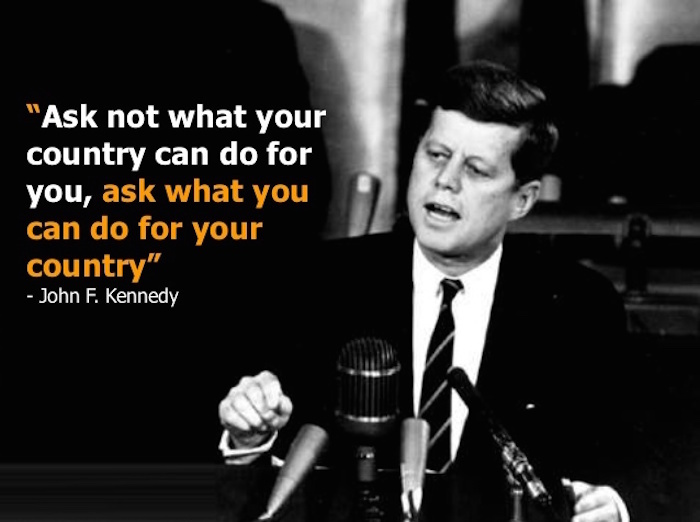 It’s the ultimate citizenship litmus test! 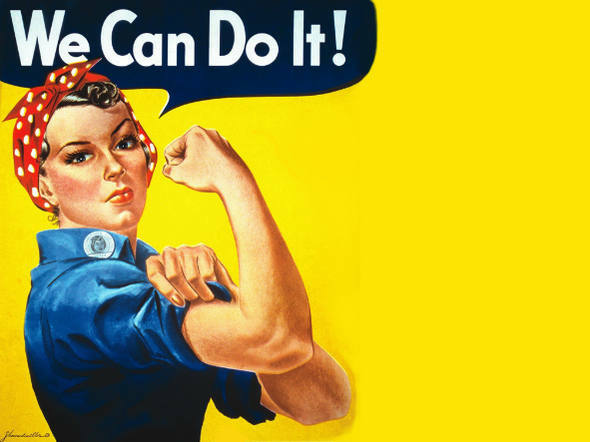 ‘Rosie the Riveter’ — Hundreds of thousands of American women assembled aircraft and manufactured weapons 8-12 hours per day during WWII. U.S. government poster. Third; Able-bodied people are expected to become educated and contribute to the overall economy of the UK. Of course, they’re free to choose their university education and their career. But at the end of the day it’s not unreasonable to expect their choices will result in a net gain for the country, whether a cultural gain (an artist or homeless shelter worker, for example) or a true economic gain (a typical blue-collar or white-collar worker) or a clerical gain. It may be that they choose to serve their country in academia or in government. In any event, citizenship carries with it the obligation to contribute to the country that provided them with relative peace and prosperity, and a good education. Fourth; The UK government should enact legislation that requires one year of compulsory military service to be served by age 25. If you’re a British citizen enjoying all of the rights and privileges of British society it’s completely reasonable to expect some sort of contribution to the national defense. Of course, such gap-year military cadets may well find themselves helicoptered into flood ravaged regions to assist local authorities, or they may be learning how to fly a light aircraft, or working on a national infrastructure project where the military corps of engineers are building or rebuilding part of the national motorway system. During their gap-year military service, all of their necessities should be covered including free medical and dental coverage, food and shelter, and many recreational activities could be included. In short, they should be encouraged to — learn hard, work hard and play hard — which the most successful nations have always done. And the least successful, haven’t. 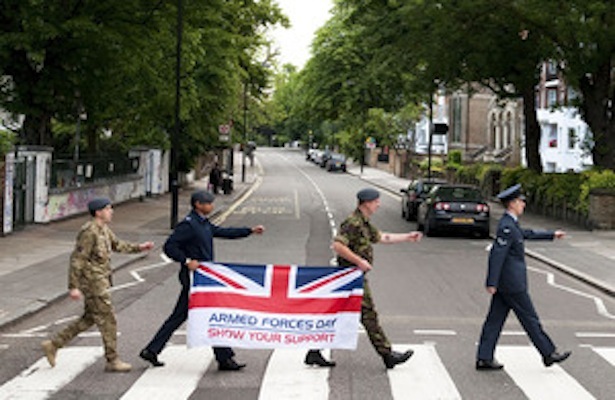 At the end of their gap-year military service each cadet should receive a generous scholarship to the UK college or university of their choice. For those who wish to continue serving their country in the military, they should receive an equally generous scholarship that leads them toward a higher rank. By creating a young cohort of military conscripts who can choose when to serve their gap-year military service, every young Briton will emerge from that military training as significantly brighter, bolder and more experienced citizens with skills that the young people of most countries won’t ever have. That’s the way to build a smarter, stronger and more capable UK society, on the way to Building a Better Britain! Q: What is the Thousand Ton Elephant in the Room? How many PhD’s have a criminal record? None. You simply won’t have the opportunity to earn a PhD if you have a criminal record. You will hear the words, ‘Sorry old boy, you just don’t make the cut’ and your university application gets tossed in the bin. So much for that plan. However, it’s within the realm of possibility that if you searched the globe high and low, you might find a handful of PhD’s who’ve been convicted of criminal offenses after having obtained their credentials; But on the main, those with ultra-high levels of education are famous for avoiding criminal activity. This is interesting because it applies not only to those with a Doctorate degree, but similarly to those with a Masters degree. In fact, anyone with even a minor college degree is likely to have less involvement with criminal activity than the general non-degree, non-MBA, and non-PhD population. These people have a real life, a real opportunity to get ahead the moment they finish their university education, and they tend to have stronger family ties. They simply have far too much to lose by throwing it away engaging in any sort of criminal or unethical behavior. Q: What percentage of Americans have a PhD? Their cohort contributes much to the success of the country and is responsible for the fewest crimes on a per capita basis (especially violent crimes) which is important in a country with 16,121 homicides in 2015 and a homicide rate of 5.1 per 100,000 people. It should be noted that the employment rate for those with Doctorate degrees in the United States is a lowish 76%. Those unemployed Professors may either be retired, happily travelling the globe on sabbatical, or unemployed. But in America, it has been acknowledged universities there produce more Profs than the U.S. requires in any given year, therefore, unemployment can be a concern for American PhD’s. In the United Kingdom, via the innovative NewRoutePhD initiative, the focus is on obtaining employment for students once they obtain their credentials. Also in the UK, there is heavy emphasis on the disciplines of Politics and International Relations, Psychology, and Chemistry which are highly valued by companies and universities in the United Kingdom and throughout Europe. PhD students in the UK know they won’t be unemployed once their education is completed. Also in high demand in the UK are so-called Research Degrees which can range in quality from a simple degree, to an MBA degree, or even a PhD level degree where world class research is being conducted every day within the university by students in engineering and the social sciences. Q: What is the New Route PhD? A: The New Route PhD is a national initiative to equip PhD students with the skills they need to pursue successful careers as leaders in universities, companies, government or the public services. It provides doctoral students with the highest quality of taught materials and practical experience alongside advanced research. This integrated approach offers students a learning environment in which to broaden and deepen subject knowledge and professional skills while providing the opportunity for interdisciplinary study to extend their expertise in new directions. This innovative and seamless scheme has the full support of the UK government, the Higher Education Funding Council of England (HEFCE) and the British Council. It meets UK doctoral standards and the principles laid down by the Quality Assurance Agency of the UK, including normal quality assurance mechanisms such as assessment hurdles and the provision of external examiners. In terms of the research student experience as well as the standing and value of the awards for which New Route PhD™ students study, this programme is a landmark in the provision of education excellence. Many countries have looked at the benefits of providing tuition-free university education for citizens and non-citizen residents and have found the so-called side benefits to be (arguably) an even greater benefit than having a highly educated workforce. Countries like Norway, Sweden, Finland, Denmark, Germany, France, and recently Chile, have noticed that since they began offering tuition-free university education, their crime statistics have dropped remarkably. Other countries charge a very nominal fee that allows students to study and obtain a useful degree at very reasonable cost in Austria, Belgium, Czech Republic, Greece, Italy, and Spain. While other countries such as Argentina, India, and Taiwan offer some novel solutions for obtaining a university degree at a very low cost. Taipei, Taiwan was voted the most affordable city for university students in 2015. — Where Can You Study Abroad for Free? In Norway, any citizen or non-citizen resident can obtain a free university education by simply applying to any public university. Many people in the country have at least one degree, while others have several. Maybe that’s one reason why Norway is awash in success! Also notable about the Norwegian example is that the homicide rate is practically non-existent — as there is typically less than one murder per year in the entire country. Following the Norwegian example of higher learning, resulting in a more vibrant and educated society and concomitantly a lower crime society, is the way To Build a Better Britain. If Prime Minister Theresa May really wants to build a better Britain, the best way to accomplish it is to provide tuition-free university education for UK citizens at public universities, and in so doing, dramatically improve the lives of British citizens and their employers while growing demand all over the globe for the valuable and world class knowledge of Britons.